Anderson is working his way through the concussion protocol, so it’s possible he could get clearance to start Sunday’s home game against the Bears. If he can’t go, it’ll be back to the Nathan Peterman thrill ride. All aboard! Somehow, it can still get even worse than this. According to Football Outsiders, Buffalo’s offense is on pace to finish the season with the worst DVOA in recorded history. 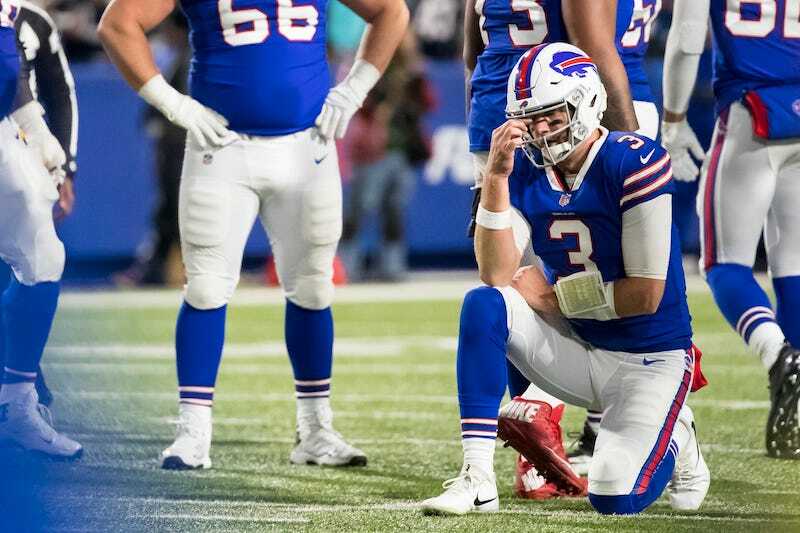 “The Bills offense is so bad that the Patriots held Buffalo to six points last night and their defensive DVOA got worse,” FO’s Aaron Schatz wrote on Tuesday. An NFL team in 2018 is “still holding out hope for Derek Anderson,” and it might not be that team’s nadir. The Bills are like a Rodney Dangerfield monologue with none of the irony.